Setup men play a major role in team success, but the primary statistical tools to evaluate them have shortcomings. The hold stat equally rewards pitchers whether they record one out in the sixth inning or pitch a scoreless eighth. Relievers can also surrender runs and earn a hold, as long as they maintain the lead. We created "quality holds" by adding stricter criteria to the holds statistic. In addition to meeting hold requirements, pitchers must work at least one full inning and not allow an earned run to score. 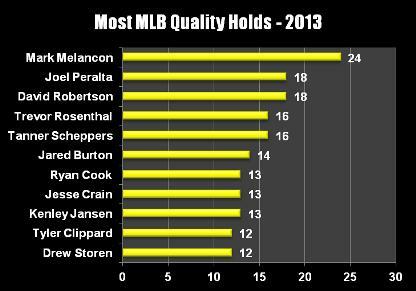 Mark Melancon led all Major League pitchers in quality holds (through July 24). All but two of his 26 holds met the criteria. While other relievers had 20-plus holds this season, nobody else had more than 18 quality holds. Melancon, set to be first-time arbitration eligible this offseason, can become just the third pitcher in the past 10 seasons to record 30 quality holds. 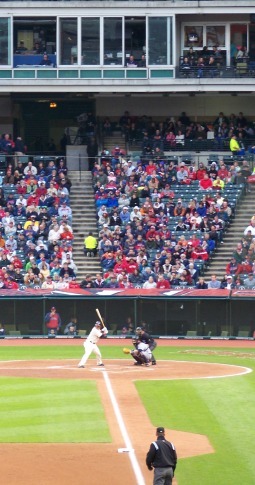 The Sports Resource invented several creative metrics to help agents gain an edge for free agency and arbitration. Since long explanations can confuse arbitration panels, we focus on relevant statistics that drive home your key points. Contact us at 512-852-8193 or steve.fall@sportsresource.net to hear the many ways we apply analytics to increase your bargaining power. Both Freddie Freeman and Pedro Alvarez have turned in strong 2013 seasons, and should become first-time arbitration eligible this offseason. Freeman held the advantage in OPS and weighted on-base average (wOBA), while Alvarez had a higher WAR (through July 24). But when it comes to win probability added, Freeman led by a significant margin. Win probability measures how much players impact their team's chances of winning. The odds of a team winning change on every event within a baseball game. Win probability added (WPA) measures each player's role in these fluctuations. While late-inning heroics capture more media attention, WPA reveals that game-changing plays occur in any inning, even the first. Freeman's sensational 3.13 win probability added figure quantifies how much he impacted the Braves' first half success. Freeman ranked among the Major League leaders in WPA. Alvarez had a solid figure, which he can increase significantly by the end of the season. 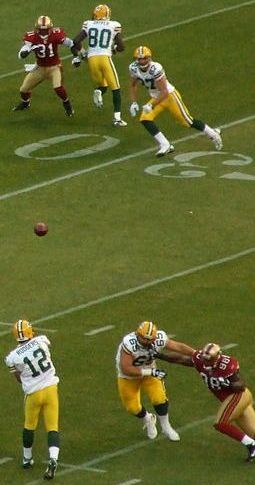 One or two game-changing plays, like a game-winning grand slam, can cause WPA to rise dramatically. The Sports Analytics Blog and Tao of Sports Podcast recently interviewed Steve Fall. Both detailed how The Sports Resource started and became the go-to sports analytics consultancy for MLB and NBA agents.